I read this article and found it very interesting, thought it might be something for you. The article is called There’s no such thing as robot lawyers and is located at https://www.rocketlawyer.co.uk/blog/no-such-thing-as-robot-lawyers/. Recently I took part in the Legal Debate Series at Thomson Reuters on the topic of Artificial Intelligence in law. The motion was that Artificial Intelligence will fail to have a radical impact on the legal profession. I argued for the motion along with Andrew Bodnar, a Barrister from Matrix Chambers. Against us were Dr Peter Waggett, Emerging Technology Programme Leader for IBM Watson, and Edward Chan, a Partner at Linklaters and a member of their AI working group. At Rocket Lawyer we use an expert system to power our document automation software that’s used by small businesses and consumers to draft legal contracts. 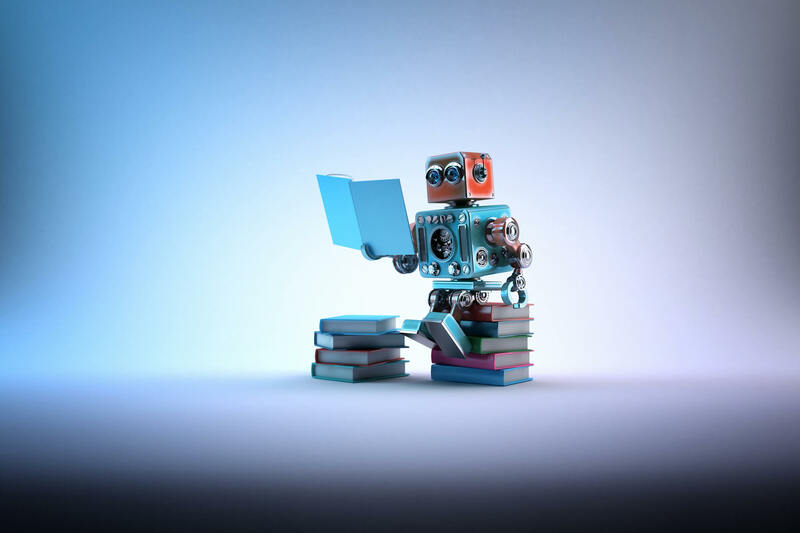 From an AI perspective it’s a relatively simple, rule-based approach that captures some of the knowledge that lawyers have about drafting legal contracts, and interrogates the customer to gather the facts needed to generate a contract. The way document automation works is users answer a series of dynamic questions and a customized contract is automatically assembled based on their answers. For example, try our automated Employment Contract. Is Rocket Lawyer AI? I’ll come back to this question later. First, let’s consider whether the legal industry is undergoing a transformation. In my mind there’s no question that legal services and the legal profession are transforming. The Law Society says globalisation, liberalisation, competition, customer expectations, and technology will all have a big impact on the industry. Regarding technology, they say it’s changing the buying behaviour of customers and, relevant to AI, that legal tech companies, universities and law firms are exploring how the cognitive functions of lawyers can be automated. Given these drivers, and in particular technology, I believe the legal industry will be radically different in 10 years time. Purchasing legal services online will be the norm, just as it is for goods, and is becoming so for services. Legal, health and other professional services, being more complex, are the last wave of goods & services to move online. But the move has begun and it will be complete in 10 years time, radically changing the legal industry. We have many examples now of online, on demand lawyers, doctors, accountants, and vets emerging. If you have a legal question, for example, try Rocket Lawyer’s Ask a lawyer service. So will Artificial Intelligence have a radical impact on the legal industry? I’m arguing no, not any time soon. And by not soon I mean not in our lifetime. How can I argue that, having said that the legal industry is radically transforming? I shall explain, but to do so first we need an explanation of Artificial Intelligence and the impact it’s having more broadly on society today. Artificial Intelligence is real and it is changing our everyday world. We have headline examples like IBMs Deep Blue beating the reigning world chess champion in the 90s. IBM again winning the US quiz show Jeopardy in 2011 with Watson. In March 2016 AlphaGo, this time from Google, beat a 9th-dan Go player, the 2nd best player in the world. More real-world, practical examples are the police using face recognition on the London Underground to automatically detect criminals. Google translating texts in an instant. You can talk with Siri on your iPhone. And we now have driverless cars. So what is AI? Broadly speaking an ‘intelligent’ machine is one that can perform or mimic human cognitive functions. Let’s break that down: they are machines that can perceive & communicate, learn & remember, reason & problem solve, plan & move with a purpose, and most difficult, they are machines that can understand, that have emotions, and that are creative. So let’s take the driverless car example. They’re obviously pretty clever. There’s some rudimentary communication going on, in that you can tell it where you want to go, and it can tell you where you are, and when you are arriving at your destination. So far this isn’t that clever because the communication is limited to places and location. What is clever is that the AI can plan an efficient route, avoiding traffic jams, see the environment around it, and drive a car. Remember how long it took you to learn to drive? Many of us will have failed the test first time, some more than once, and we’re humans. So today we have self-driving AI cars. They’re not commonplace yet, but they soon will be. That was a tough computing problem to solve. Let’s next consider language and understanding. This is where it get’s really hard for a machine. Translation is quite a hard task for humans. Doing it well is very hard, but doing it OK does not require a deep understanding of the text. Humans can translate technical texts OK without much understanding of them. This is what machine translation does; it translates words and phrases from one language to another with little or no understanding of the meaning of the text. If you’ve tried to have a conversation with Apple’s Siri, or Microsoft’s Cortana, or Amazon’s Echo, or Google you’ve probably noticed there is little understanding going on here either. They can’t remember the context of your conversation from one question to the next. They’re smart search engines. But they don’t understand. You could get your computer to read this blog post out loud using a text-to-speech tool. It will sound OK, and in the main you’ll understand what the machine is saying, but it won’t understand any of what is being said. This is the limit of current AI. AI has proven successful at mimicking lower cognitive functions, such as perception and motor control. These cognitive skills can be mastered by machines using clever data processing techniques and knowledge representation. When it comes to higher level cognitive functions, such as language processing, understanding, and thought, AI machines are not approaching human ability, and there is a long way to go before they do. What would an AI or Robot Lawyer look like? I think it needs to be something at least as advanced as a driverless car, but performing to an advanced level the cognitive functions of a lawyer. An AI Legal Advisor could listen to you, understand your legal issues and advise on relevant aspects of the law. An AI Advocate could represent you in court and argue your case. An AI Judge could weigh up the arguments from both sides, and make a fair ruling and sentence. If you are old enough to remember, it was an AI, the judgement machine, that sentenced Blake to the prison planet Cygnus Alpha. A robot lawyer. However, the charges were fabricated. If the judgement machine could have perceived as well as reason it may have picked that up, and we wouldn’t have had four series of Blake 7. What AI do we have in the legal industry today? In document automation apps, like Rocket Lawyer, there’s some lawyer knowledge captured, so it’s quite smart, but the questions asked and the customized drafting produced are all set beforehand based on rules. These systems can’t learn or understand, and communication is scripted. So document automation is smart, but not intelligent. We also have smart e-discovery helping lawyers review large datasets, and smart case search assisting lawyers with their legal research. We have smart apps that can predict the likely outcome of PI and IP cases (Personal Injury and Intellectual Property). We have smart apps that can extract and summarise the important terms or a contract. So today in the legal industry we have smart apps for customers to carry out standard legal tasks themselves and smart apps to make lawyers more efficient. We don’t have robot lawyers yet. Smart apps are just the beginning though, surely. Machines are becoming increasingly intelligent. They double in speed every two years in line with Moore’s law, so we’ll have robot lawyers soon, right? No, we won’t. We’ll just have faster apps. Recent studies estimate that only 13-23% of lawyers work is automatable. So with technology we can automate the simpler legal work of lawyers with smart apps. Whether you argue that these apps are intelligent machines is up to you. Document automation apps certainly aren’t particularly intelligent. Simple expert systems like this aren’t considered AI anymore, even though they were in the 1980’s. More importantly though, true AI is not going to have a radical impact because an AI legal advisor, negotiator, arbitrator, advocate or judge would require a machine that can develop a deep understanding of both the law and the world to advise, negotiate, arbitrate, advocate, and judge. To be a successful robot lawyer, a machine would not only need to perceive, communicate, problem solve and move like a driverless car, but also learn, remember, reason, understand, have emotions and be creative. AI research is a long way from creating a machine with complete, general intelligence. Is this going to stop the legal industry from transforming? No. Not at all. We don’t need AI to transform the legal industry. Amazon isn’t AI yet it has transformed the sale of goods. It makes smart recommendations, but it isn’t artificially intelligent. Uber isn’t AI. It’s smart at managing the supply and demand of cars through dynamic pricing, but it isn’t artificially intelligent. Rocket Lawyer isn’t AI. It can write a customised legal contract that meets your particular circumstances, but it isn’t artificially intelligent. A new app has been making headlines recently, DoNotPay. It’s a ‘robo-lawyer’ that can “talk to you, generate documents and answer questions. It is just like a real lawyer, but is completely free and doesn’t charge any commission.” It helps you contest parking tickets in London and New York, and has apparently been very successful at doing so. Is it the first artificially intelligent lawyer? The first robot lawyer? No, it’s a web form with some basic automated document assembly that can generate pleadings. So it’s not actually AI, but it is another extremely useful technology that is helping in a small way to transform the legal industry. So we have useful technology, like this, for solving basic legal problems. We have smart apps, like Rocket Lawyer that can write customised contracts. We have some basic AI, maybe, that’s making lawyers more efficient. What we don’t have and won’t have anytime soon is AI replacing legal advisors, negotiators, arbitrators, advocates or judges. Nevertheless the legal industry is transforming. Well designed, smart technology that radically improves customer experience never fails to transform industries. So I argue that the legal industry will be transformed over the next 10 years by great technology, but AI will not play a significant role in that transformation. And in case you are wondering, we won the debate with 51% of the audience agreeing.